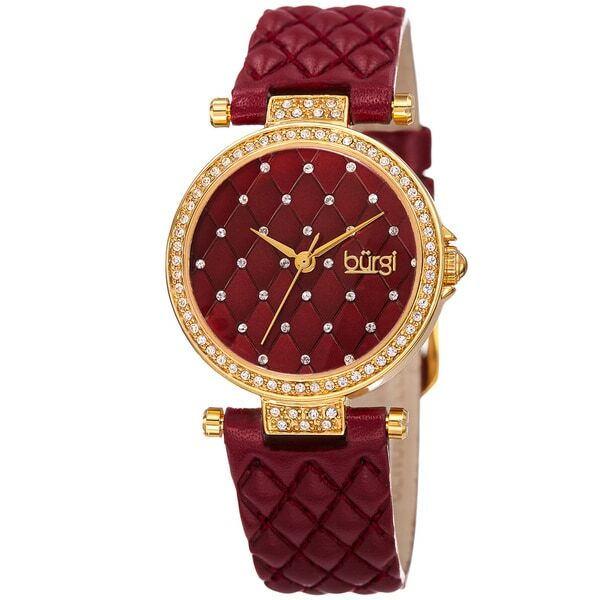 This exquisite women's timepiece is one of Bürgi's most elegant design. The polished case and bezel is accented with Swarovski crystals. A lovely diamond-patterned dial studded with sparkling Swarovski crystals captures the light and reflects with an eye-catching shine. It is powered by a highly accurate Japanese quartz movement and features a classic two-hand indication. This timepiece is completed with a diamond-patterned genuine leather strap. I love this watch. It’s a great contrast from all the gold and silver watches. I love the unusual, and this fits the bill. I love everything about this watch except the color. I thought it would be more like a blue/red color but instead, it's a dark burgundy shade. I already have a watch in the purple family so I didn't need another. However, inertia set in, and I didn't return it. I have worn it too and received compliments. I recommend this watch and brand for its quality and workmanship; however, just be aware that the color may not be what it looks like on-line. I loved this watch! Very nice quality for the inexpensive price I paid. Watch is a very deep blood red shade. 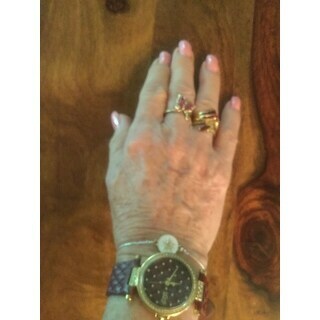 I have a large wrist ...but the band still accommodated my wrist size comfortably. This watch is beautiful, but the color is not like in the pictures, the red is more of a burgundy. That being said it is really elegant and petite, the strap looks like it's gonna get dirty easily. This is a very unique looking watch. My favorite is the quilting on the face as well as on the strap. It's very pretty. I wear it with my burgundy clothes. Looks great. Nice watch. I am love with it. It's beautiful . I love it !